Have had this up for a few years. Finally showing to people who appreciate it. Very nice, Garb! What’s the green plexi on the second shelf? Thank you for showing your 29 brushes. This is a great 24mm knot in a handle made for the “il rasoio “ forum in 2012. 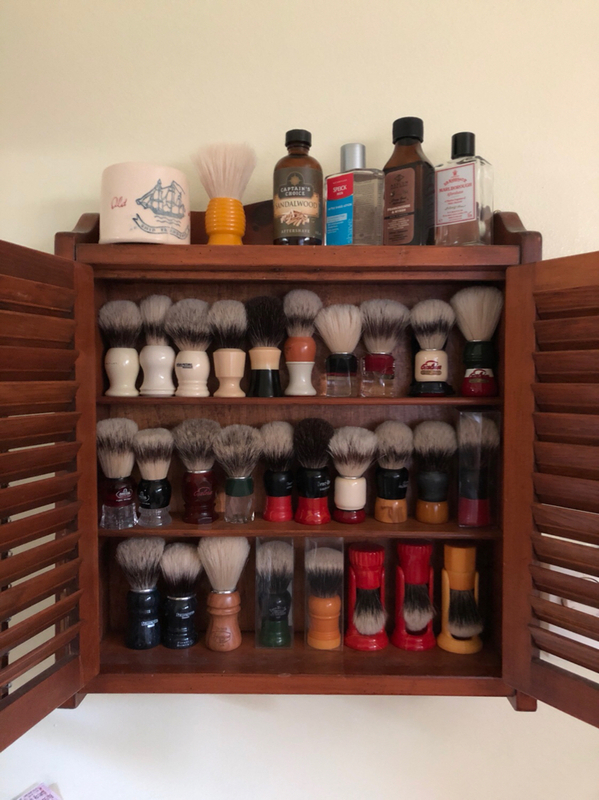 Very nice brush collection and setup. 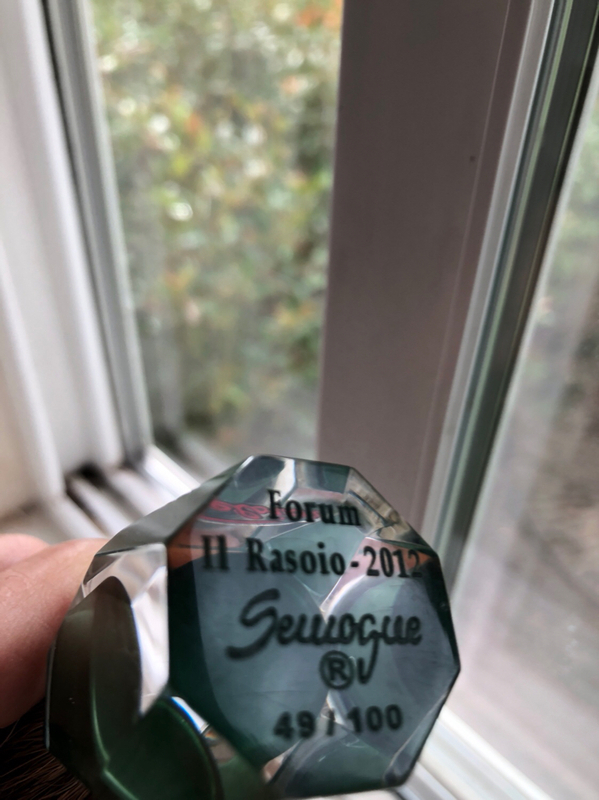 (08-27-2018, 09:22 AM)Garb Wrote: This is a great 24mm knot in a handle made for the “il rasoio “ forum in 2012. I have never seen a green one. Thanks! Very nice. And I got here fast to see all those brushes! Thanks for the kind words. I got the rebuild bug a number of years back and scored quite a few at estate sales and second hand stores. Haven't done one in quite a few years but getting ready, as in "ever-ready", with winter coming and not getting out as much. 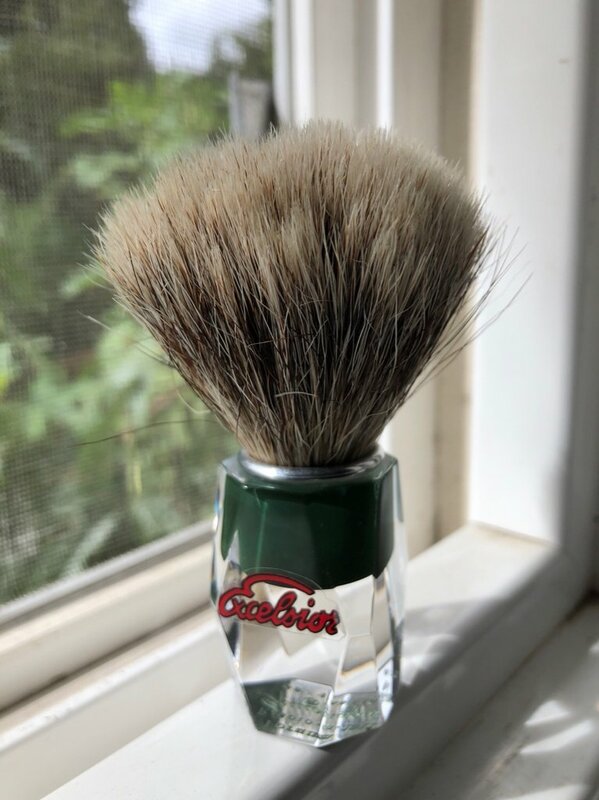 Very nice collection of vintage brushes. Did you restore them yourself?